Evening all, sorry to be so late with this post, it's been a busy day. Apologies too for the earlier publishing of the unfinished post, I'd forgotten I'd scheduled it. Thank you to everyone who commented on the two weeks of the Crackle Medium promotion posts, we hope you enjoyed seeing the projects. Important message: Please, PLEASE check that you've left a comment on EVERY post during the promotion fortnights. I've had to disqualify a few people this time because they missed a few posts - one person missed just one - and I hate doing that, I want you all to be in with a chance. Yvonne Lambert's comment on October 9. 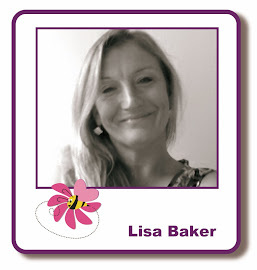 You now have ONE week to email Lisa at lisabaker1@btintenet.com with your contact details & she will post out your prize. Thanks again to everyone, the next promotion will start on Monday, November 10 & in the meantime, the blog challenge continues until November 8. Wow! I've won. When I read your post I thought oh no I missed a post again but no. Thank you so much.